This time last year, there were only thirteen entries for the Bailey Bowl and on the Saturday it was hailing on and off! This year there were twenty three entries with a record twenty one on Saturday despite the overcast and drizzly conditions. 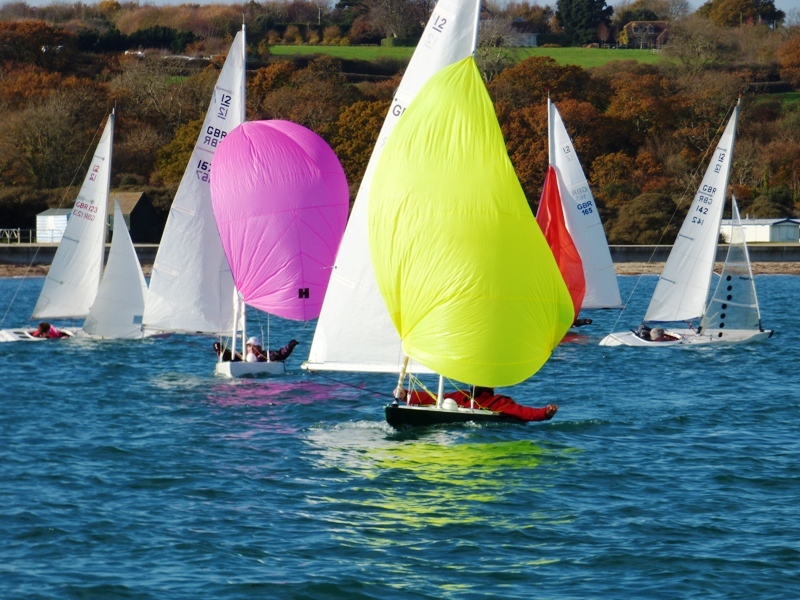 Although down to seventeen on Sunday, the sunshine and light airs made for a great weekend’s racing. 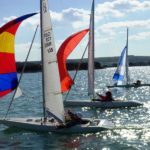 With so many boats launching and the decision made to race outside the harbour again, a short postponement on Saturday was probably inevitable. 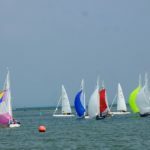 Given the number of boats, the start of the first race in the 15 knot westerly breeze was a credit to the Illusion fleet. A lot were spot on and no one was far away when the hooter went. 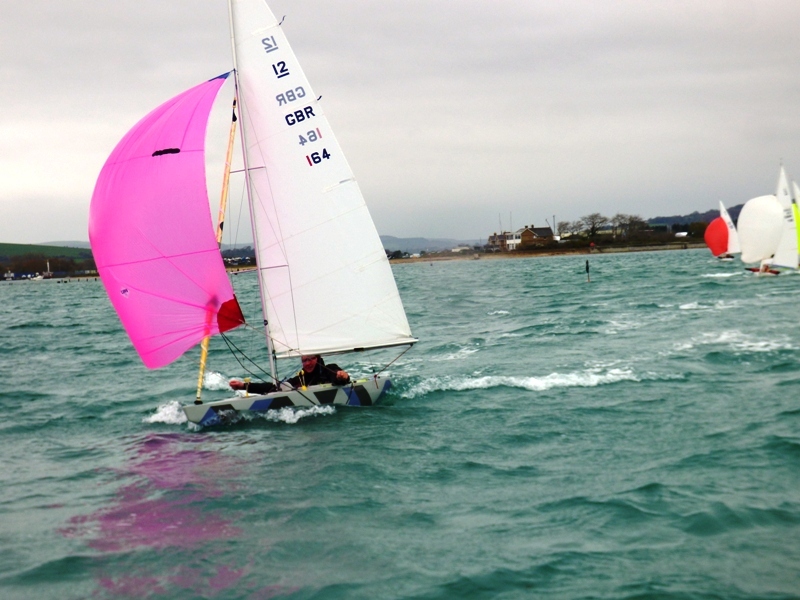 It was no great surprise that Mark Downer and Bruce Huber were first to reach the windward mark followed by Jo Downer, David Peerless, George Downer and Julia Bailey (in her first race of the season) with little to choose between them. On the second round Mark extended his lead over Bruce who started to come under pressure from David and Jo. Indeed at the finish after 3 rounds, there were only inches between Bruce and David. Fifth to eighth places were also very close with Guy Mattinson, Alastair Speare-Cole, Julia and George all finishing within feet of each other. 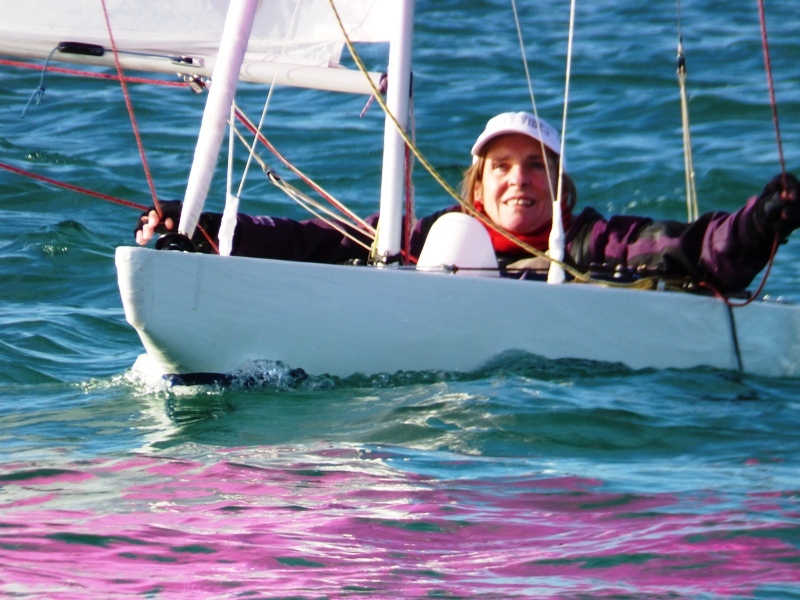 Julia was called OCS at the start of the second race and had difficulty extracting herself from the centre of the fleet to return to the pre-start side of the line, so despite best efforts to catch up the front of the fleet, she had to be content with a twelfth place. Mark lead initially however Bruce managed to get the better of him in the second round and then held off the inevitable challenges. Alastair Speare-Cole and Bill Daniel’s also had a close race with Alastair just crossing the line just ahead. The start of the third race was another close one with George over-cooking it and having to turn back. Mark’s pink spinnaker was again the first to be hoisted as he rounded the spreader mark ahead of Alastair, Bruce and Raymond. On the second round Julia moved ahead of Raymond, as did Bill. 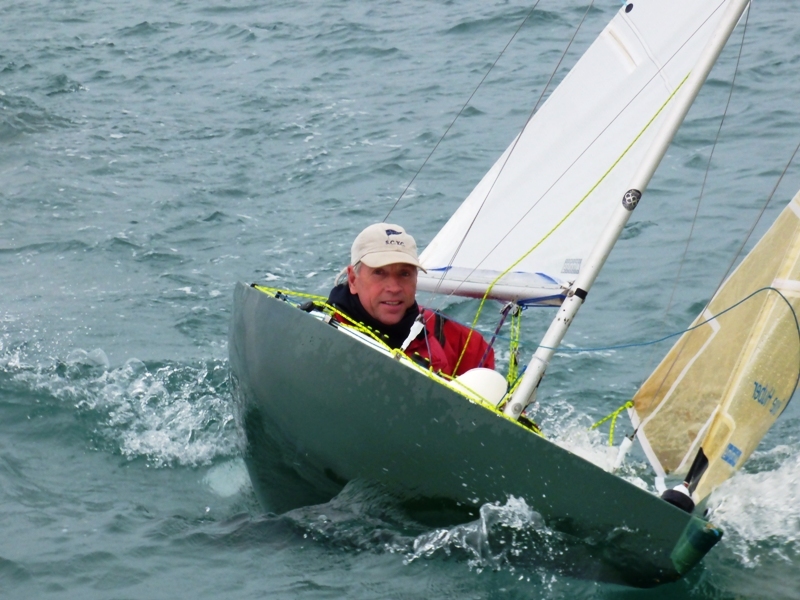 Mark stretched his lead on the third and final round with its extra leg to the finish at the windward mark. 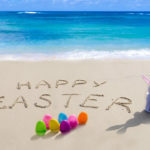 Despite Sea Breeze having to re-position because her hastily laid anchor started dragging, Alastair managed to hold off Bruce’s challenges and Julia was fourth. Sunday’s forecast was for lighter variable conditions and bright sunshine and that was exactly what we had. 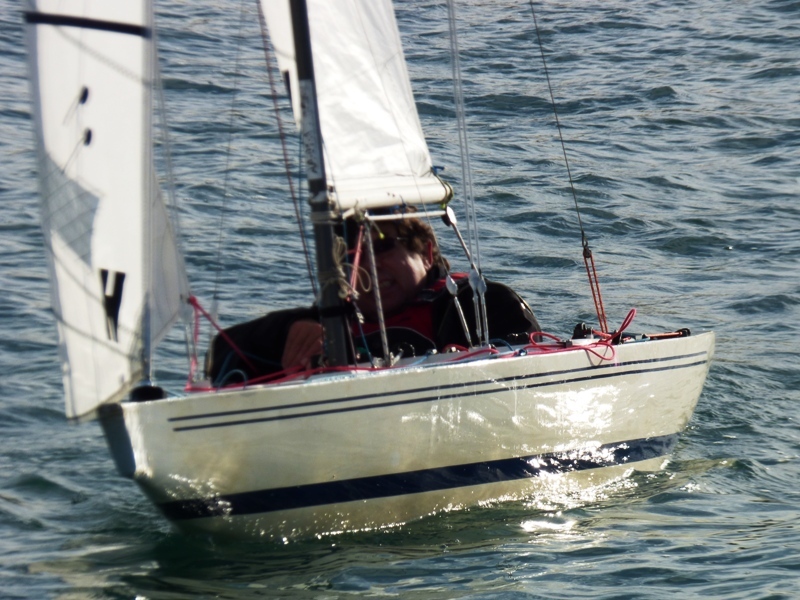 With Spring tides and a light NWesterly, sailing out of the harbour was quite challenging, however with a bit of towing the start of the first race was only slightly delayed. Unusually it was Mark Downer who was called OCS, however clearly the Gods were smiling and he was able to get going again with only a minimal delay and by heading up the right of the course, it was not long before he was back in the top group, which included Hugh Doherty who now owns his old boat, as they rounded the windward mark. On the run to the leeward gate, Mark powered into the lead and never looked like being caught despite best efforts by Bruce or Julia. Raymond was fourth ahead of Bill Daniels and Andy Christie. With the breeze flicking back and forth, the fifth race saw the first General Recall of the season. Re-starting under the Black Flag had the desired result and brought a bit of discipline back into the proceedings! Mark, Bruce and Julia continued to dominate the front three places, albeit Julia was given a run for her money by Bill who missed out a podium place by a couple of inches. 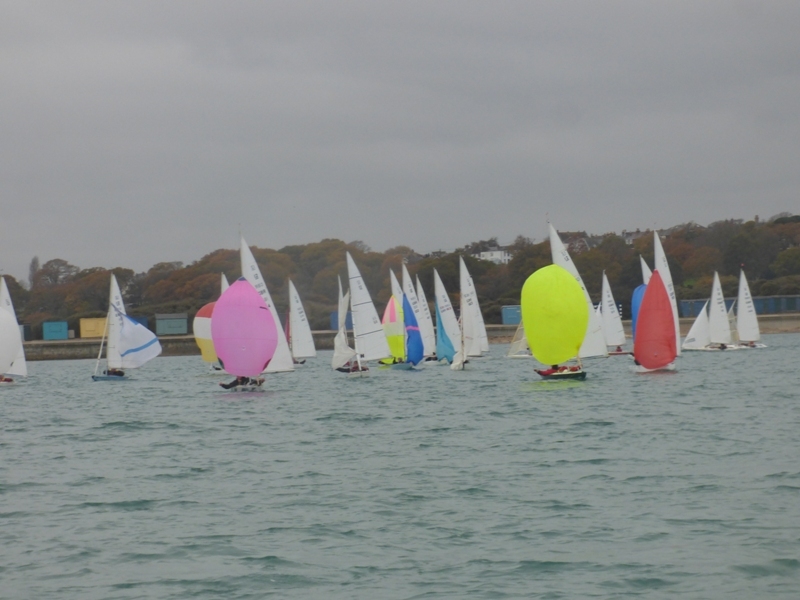 To ring the changes slightly, the sixth and final race was started under Flag Uniform (same as the Black but in the event of General Recall, penalised boats are allowed to restart) which gave everyone something to think about! With the fleet well spread out along the line and Mark in pole position at the pin end, the first beat again saw both sides of the course well used. Mark’s tactics and boat speed in the 6 knot breeze again put him at the windward mark first ahead of Raymond, Bruce and Julia. At the end of the first round Bruce was just ahead of Raymond but despite narrowing the gap to Mark for a short period, he was unable to get close enough to threaten his lead and his fifth win of the weekend. 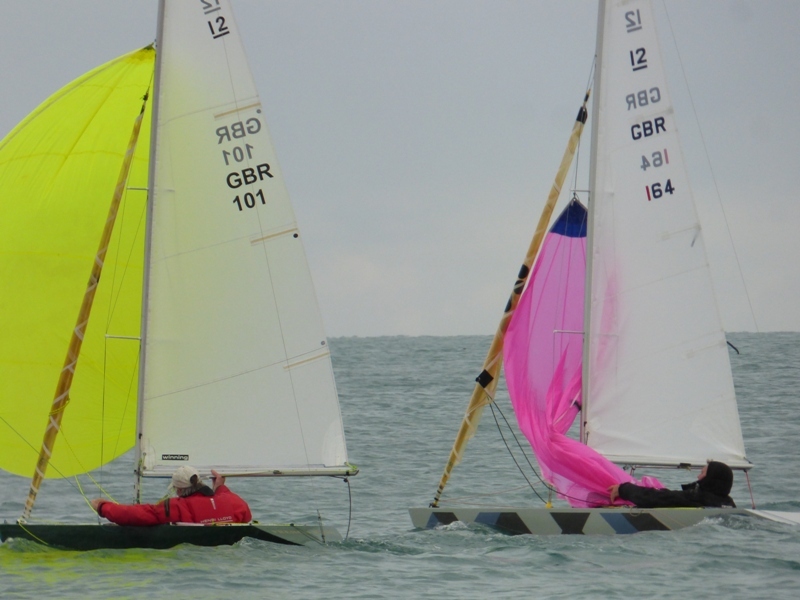 Julia was third and Bill just pipped Raymond after they had rounded opposite buoys at the leeward gate. 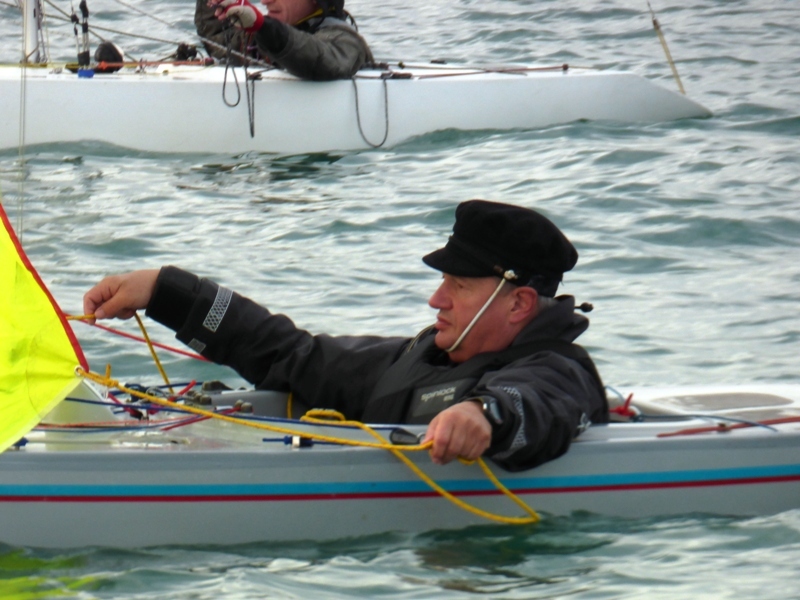 Philip Russell and his sister Jo had a very close race and tied for seventh place. 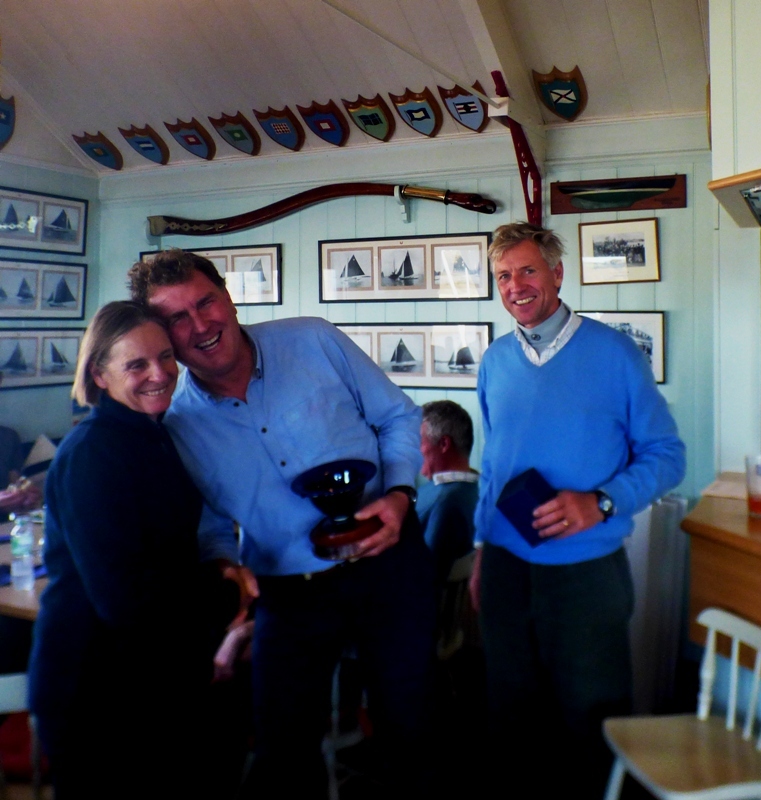 Congratulations to Mark who won the Bailey Bowl for the third year running. Also to Bruce who was second and Julia who was third.